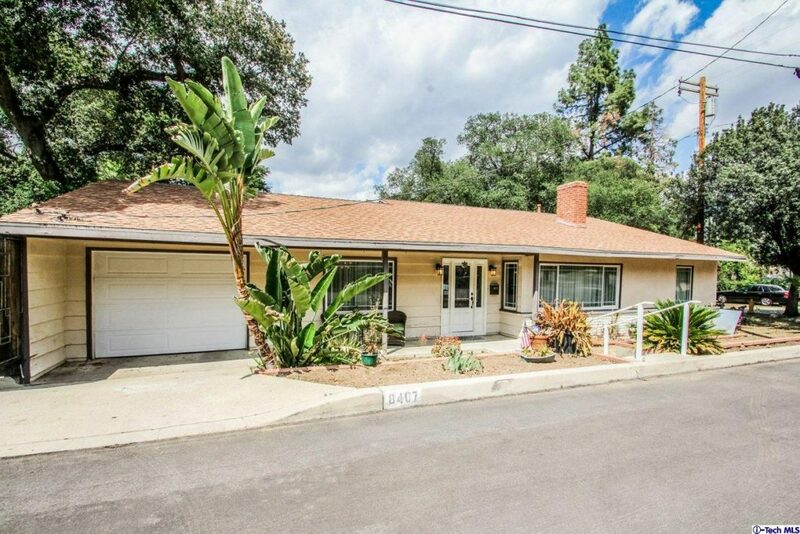 Tucked away in the hills of Sunland resides 8407 Cora Street featuring 3 bedrooms and 1.5 bathrooms with a2 car garage! Inside this home you will find a spacious floor-plan with crown and baseboard moldings, recessed lighting and beautiful tile flooring running through-out! Tile counter-tops in the kitchen with tons of natural lighting, bar stool seating and a gas range cook-top stove! Through the kitchen you will find the spacious family room with glass doors that lead directly outside. Also featuring in this home is the fireplace in the living room with an intricate backdrop, formal dining area and well-illuminated spacious bedrooms with ample closet/storage space! Charming backyard with a large open patio, a nice sized lawn and a side patio with lots of privacy. Add out door seating or a BBQ grill and enjoy the days with your family and guests.